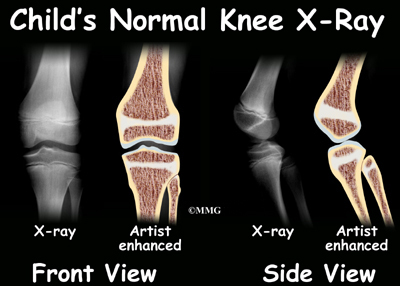 The condition is the most frequent cause of knee pain in children between the ages of 10 and 15. The problem used to happen mostly in boys. But with more girls playing sports, boys and girls are now affected equally. Because girls' skeletons begin to mature earlier than boys, girls tend to have this condition when they are one to two years younger than boys. Kids who play sports have this condition 20 percent more often than nonathletes. And the lesion seems to run in families; when one child is affected, there's a 30 percent chance a sibling will have it, too. Children with bone development problems in one area are likely to develop similar problems elsewhere. 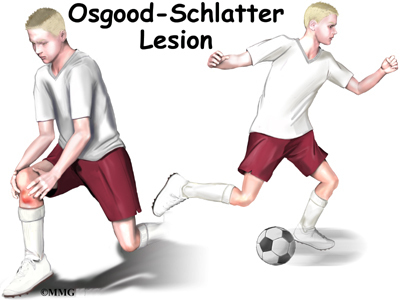 For example, among young athletes with growth plate problems in the back of the heel (Sever's syndrome), about two-thirds also develop an Osgood-Schlatter lesion. 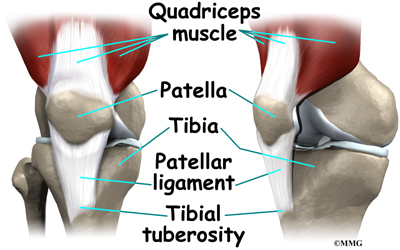 Children who have an Osgood-Schlatter lesion also have a small chance of problems at the top of the patellar tendon, where it attaches to the bottom tip of the kneecap. This condition is known as Sinding-Larsen-Johansson disorder. A doctor can usually make the diagnosis from the history and physical examination. 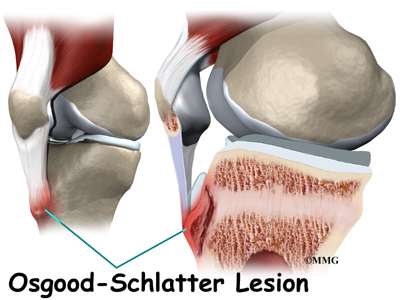 The doctor will want to know the child's age and activity level, and whether there are any siblings who've had an Osgood-Schlatter lesion. In some cases, the patient may need to stop sport activities for a short period. This gets the pain and inflammation under control. Usually patients don't need to avoid sports for a long time. It is unlikely that the bone will completely separate, so not all athletes need to completely avoid sports. Cortisone injections are commonly used to control pain and inflammation in other types of injuries. 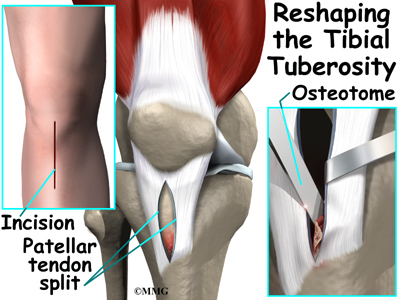 However, a cortisone injection is usually not appropriate for Osgood-Schlatter lesions. Cortisone injections haven't shown consistently good results for this condition. 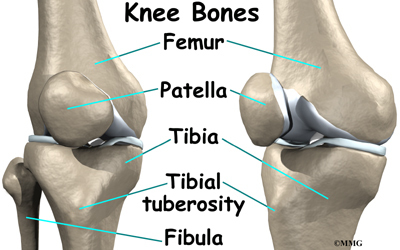 There is also a high risk that the cortisone will cause the patellar tendon to rupture.